The folks over at Studio 2 Publishing are looking to expand their Awaken RPG with a new expansion book. The Liborian Saga takes players to the mysterious islands surrounding Salvora. There's plenty there for GMs, with monsters, cities, maps, histories, NPC. There's also new stuff for players, with Items, Weapons, and Gifts. So, if you want to get more out of your Awaken games, this is the book for you. The book is on Kickstarter now. 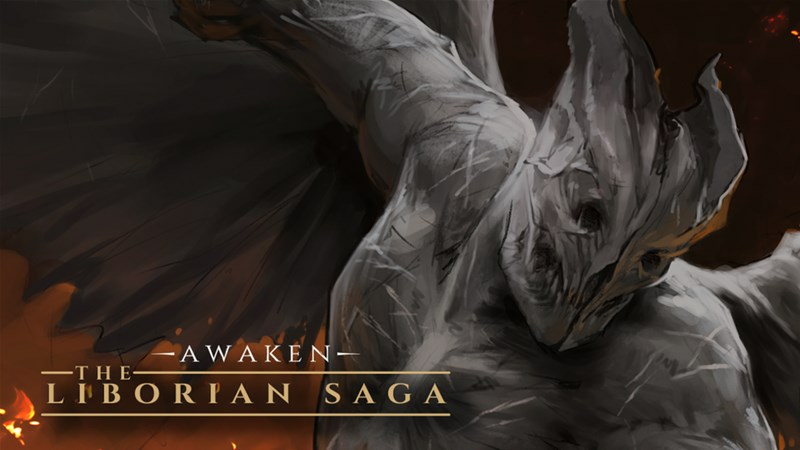 Studio 2 Publishing Inc. and The Games Collective are happy to announce that the new Kickstarter campaign for the dark fantasy tabletop RPG Awaken, The Liborian Saga, is live right now! The campaign aims to fund a new expansion book in which players can finally discover more about one of the most mysterious and fascinating part of Salvora, the islands of Liboria. The book will extend the regional lore (providing new informations about the three Great Cities of the region with detailed maps, histories, locations of interest, and story hooks), will add new antagonists, monsters, items and weaponry, will explore the regional Orders and cults, and will add new rules that players can use to build their own Gifts and Superior Gifts. The book will also includes a new playable adventure, “The Death Cycle”. People that will support The Liborian Saga through Kickstarter will be able to receive some exclusive goodies, like t-shirts, bookmarks, posters and a special leather dust jacket edition of the book. Reaching specific stretch goals will also guarantee to all the backers a large variety of additional contents, like a 3D map of Salvora, the hardcover upgrade for the book, and new digital sourcebooks. The campaign is about 2/3 of the way to its goal with still 28 days left to go.